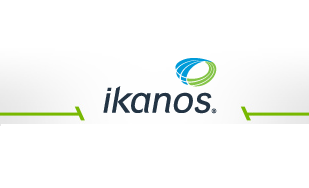 Ikanos announced its Velocity-3 Vectored VDSL chipset and software solution. The company's "NodeScale" Vectoring technology identifies and cancels VDSL crosstalk on up to 384 copper lines in a bundle. The technology eliminates crosstalk from all lines in the vectored group, independent of binder, cable or chassis, increasing rate, reach, robustness and reliability. Lantiq, in partnership with Aethra Telecommunications, an access network equipment supplier, introduced a reverse powered Fiber to the Distribution Point (FTTdp) broadband access solution that uses standard fiber and copper wire to deliver aggregated data rates up to 250 Mbps over 200m twisted-pair copper line lengths. The idea is to use fiber drop points on a neighborhood pole or in a building basement to provision multiple customer end-points for an enhanced VDSL2 service supporting triple play broadband services, including multiple HD TV channels over IP. The solution leverages Lantiq’s ultra-low power FALC-ON GPON and VINAX V3 VDSL2 chipsets and patent-pending reverse power feeding circuitry developed by Aethra Telecommunications. Lantiq and Aethra Telecommunications will demonstrate their FTTdp solution at Broadband World Forum (BBWF), October 16-18 in Amsterdam. Lantiq announced first customer shipments of its VINAXTM IVE1000 System-Level Vectoring Engine chip. The company said its new VINAX IVE1000 represents a major milestone for the deployment of vectoring in the field. The chip is an integrated ASSP solution suitable for volume deployment of system-level vectoring solutions supporting up to 384 VDSL2 lines. The implementation supports full cancellation and partial cancellation of crosstalk in copper bundles. 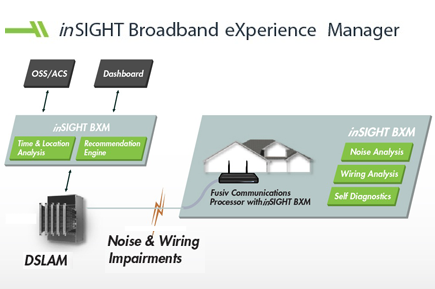 Specifically, Lantiq's VINAX IVE1000 uses advanced signal processing techniques to cancel Far-End Crosstalk (FEXT) between any of the VDSL2 lines in a copper bundle. This enables service providers to achieve 100 Mbps symmetrical and beyond, according to the company. In addition, Lantiq said its technology enables up to 20% system power savings in a fully-vectored system (compared to non-vectoring) as a result of optimal balancing of transmission power. 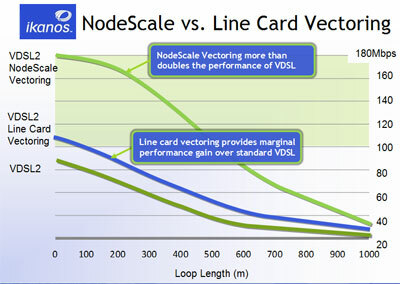 The VINAX V3 enables “vectoring ready"? VDSL2 line cards (which support ADSL2/2+ through VDSL2 30MHz standards), requiring only a remote software upgrade when the VINAX IVE1000-based central vectoring card is added at the CO or in a local cabinet. Connected to a vectoring standard-compliant CPE device such as the Lantiq XWAY VRX200, this combination allows the implementation of a complete end-to-end vectoring solution. Lantiq’s XWAY VRX200 CPE device is “vectoring ready" today, as such only a simple software upgrade is necessary for full vectoring functionality. Lantiq noted that is VINAX Vectoring System is compliant with and is capable of supporting all features defined in ITU G.993.2 (VDSL2), G.993.5 (G.vector) and ITU G.997 (G.ploam). The solution applies to all VDSL2 profiles and supports up to 384 VDSL2 ports by cascading multiple VINAX IVE1000 devices. This high level of scalability, coupled with the compelling features offered by the VINAX V3 chipset, results in a solution that is ideally suited to a wide range of applications such as MDU, MSAN and DSLAM. On December 27, Cavium cut its financial guidance for the fourth quarter of 2011. The company currently expects that revenue in the fourth quarter of 2011 will be between $56 million and $57 million. Cavium announced a performance benchmark for its flagship 32 Core OCTEON II MIPS64 CN6880 processor -- a score of over 150,000 on the industry standard Embedded Microprocessor Benchmark Consortium (EEMBC) benchmark in a single chip. The CoreMark benchmark isolates the CPU's core performance from memory and I/O effects and is able to measure meaningful information about a processor's core performance and includes tests of basic pipeline structure, read/write operations, integer operations, control operations including multiply-accumulate (MAC) and single instruction, multiple data (SIMD) instructions, list processing, string search, matrix array multiplication and state-machine processing. Tests are based on information not available at compile time and provides for a more realistic real-world performance metric for embedded processors than some older benchmarks. Radisys introduced an AdvancedTCA product based on the new Cavium NEURON Search Processor. The new solution is based of the Radisys ATCA-7240, a versatile full-duplex 40G packet processing module that provides a complete line-rate solution for applications such as Serving Gateways (SGW), Session Border Control (SBC), Security Gateways, DPI, Edge Routers, Media Gateways and Mobility Management Entity (MME) network elements found in the 4G Long Term Evolution (LTE) Evolved Packet Core (EPC). The ATCA-7240 provides the ability to offload L2-L4 Access Control List (ACL) and Longest Prefix Match (LPM) lookups in a deterministic fashion from the data processing blocks thereby accelerating complex search requirements and making the ATCA-7240 an ideal fit for high-speed networking applications such as packet classification, access list control and intrusion detection. Cavium has begun shipping its new NITROX III security processors, which integrate 16 to 64 purpose-built security RISC cores and multiple compression engines to deliver up to 200K SSL ops, 40Gbps SSL and IPSec and 20Gbps compression processing along with virtualization hardware with a PCI-Express Gen 2 16-lane interface. Cavium calculates that the level of performance in these new processors is up to 5 times greater than alternative multi-chip solutions within the same power envelope. Cavium's recently introduced small cell “Base Station on a chip�? is being used to deliver eight simultaneous connections, including streaming of five HD videos, at the maximum possible data throughput. This demonstration platform, which was shown at the 4G World show last week in Chicago, consists of a commercially available 4G/LTE client, an OCTEON Fusion Technology based eNodeB base station, Cavium's FusionStack eNodeB software, and a commercial 4G/LTE EPC (Evolved Packet Core) solution. In October, Cavium introduced its small cell "Base Station-on-a-chip" family for LTE and 3G networks. The new OCTEON Fusion series, which builds on the company's established L2-L7 presence in existing wireless infrastructure, combines Octeon's MIPS64 based multi-core architecture with purpose-built Baseband DSP cores, extensive LTE/3G hardware accelerators and digital front end (DFE) functionality into a single chip. This enables very small footprint designs, including picocell and micro base stations, with a minimal bill-of-materials (BOM) and power envelopes. Significantly, the new OCTEON Fusion can be used for small cell LTE base stations scaling from 32 users to 300+ users and up to dual 20MHz carriers, making it a more powerful small cell base station solution than its competitors. Cavium introduced its small cell "Base Station-on-a-chip" family for LTE and 3G networks. Cavium currently supplies its Octeon processors for 3G/4G platforms used by 8 out of the top ten telecom equipment manufacturers (TEM). The new OCTEON Fusion uses the same FusionStack L1-L3 software used in these systems. OCTEON Fusion and FusionStack Software have been developed in close partnership with a Tier-1 TEM and have been designed into their next gen LTE small cell base stations. PHY (L1) layer software includes complete user-plane and control plane components for FDD-LTE, TDD-LTE and 3G, along with protocol processing libraries that take advantage of the in-built hardware acceleration. The OCTEON Fusion packs from two to six 64 bit cnMIPS cores operating at up to 2GHz with up to two to eight highly optimized baseband DSPs operating up to 1GHz and several carefully designed hardware accelerator blocks for security, packet processing and scheduling. Octeon uses a proprietary high-speed interconnect between cores, accelerators and memory for ultra low latency. Cavium also supports full C-programmability, Authentik secure boot functionality to eliminate the possibility of cloned or grey market base stations, and the ability to use portions of the LTE spectrum for the base stations own wireless backhaul. SoftAtHome and Ikanos Communications are collaborating to bring a next-generation gateway platform to market. The companies said their partnership combines the latest capabilities of the SoftAtHome Operating Platform and Ikanos recently announced Fusiv Vx185/175 communications processors to create a solution ideally suited for the performance and quality of service demands of next-generation home media gateways in a multiscreen environment. Earlier this month, Ikanos Communications introduced two dual-core communications processors – the Fusiv Vx175 and Fusiv Vx173 -- designed for a wide range of devices including femtocell gateways, smart energy gateways, mobile broadband routers, optical networking terminals, network attached storage and other next generation services gateways. The new devices add to the company's Fusiv portfolio and extend the range of access types supported to PON, LTE and other broadband technologies. Ikanos Communications is working with ASSIA to simplify the deployment of G.Vector broadband networks capable of 100 Mbps performance over traditional copper telephone lines. The partners are creating an ecosystem for service providers around the world that enables new bandwidth-intensive services and streamlines “time to revenue�? on vectored networks. 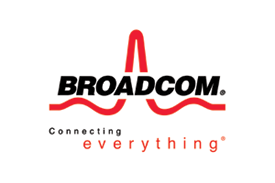 A demonstration of the combination of Ikanos' NodeScale™ Vectoring and ASSIA's DSL Expresse software tools will be held at next week's Broadband World Forum in Paris. Ikanos Communications introduced two dual-core communications processors – the Fusiv Vx175 and Fusiv Vx173 -- designed for a wide range of devices including femtocell gateways, smart energy gateways, mobile broadband routers, optical networking terminals, network attached storage and other next generation services gateways. The new devices add to the company's Fusiv portfolio and extend the range of access types supported to PON, LTE and other broadband technologies. Advanced Dual-Core Processor Architecture – The Vx175/173 communications processors have two MIPS cores. In the Vx175, cores provide up to 600MHz processing power. The Vx173 cores run at 400MHz. Dedicated Voice Processing Engine – An integrated DSP engine delivers full-chain deployment proven VoIP, capable of handling four voice channels simultaneously. Programmable Hardware Accelerators – In addition to the dual core MIPs processors, the Vx175/173 also includes programmable hardware accelerator processors to provide flexibility, improved performance and quality of service. These enable bi-directional Gigabit routing performance while consuming a small fraction of the Fusiv's processing power. Multiple Interfaces for LAN/WAN Integration – The Vx175/173 includes a number of built-in interfaces – including up to three Gigabit MACs, two PCIe and two USB 2.0 hosts. Security (IPsec) Performance – The Vx175 has a built-in hardware encryption engine to protect traffic over the Web without a performance penalty. Dynamic Power Management – The new chipsets support European Code of Conduct and Home Gateway Initiative (HGI) energy efficiency requirements. Cavium has begun the first shipments of its 10-core OCTEON II CN66XX processors to multiple OEM customers. The Cavium OCTEON II CN66XX integrates up to 10 MIPS64 cores and hardware acceleration for networking, mobile infrastructure, control-plane and data-center applications. "With the CN66XX, we now offer 2.5x the number of full 64-bit CPU cores and 2x the GHz versus alternatives within an extremely compact and power-efficient form-factor," said YJ Kim, General Manager of Cavium's Infrastructure Processor Group.